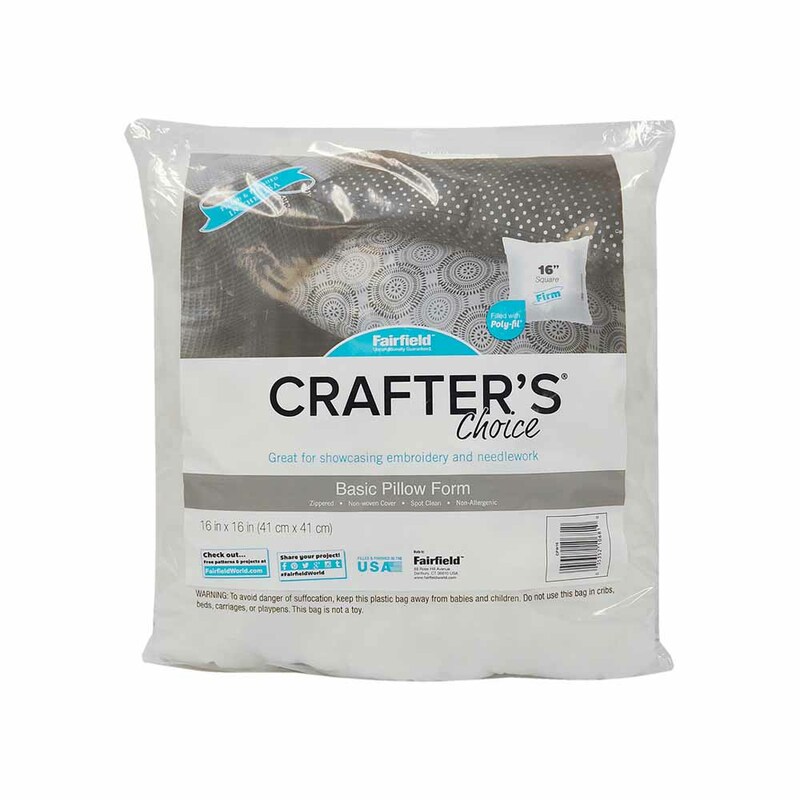 Crafter's Choice® inserts are quality pillow forms that are soft, supportive and economically priced. They are available in a variety of square sizes and feature a durable 100% polypropylene cover and 100% polyester fiberfill interior. They work well for craft projects and needlepoint or knit pillows as they have a medium firmness and a flatter appearance. Soft, supportive and economically priced.